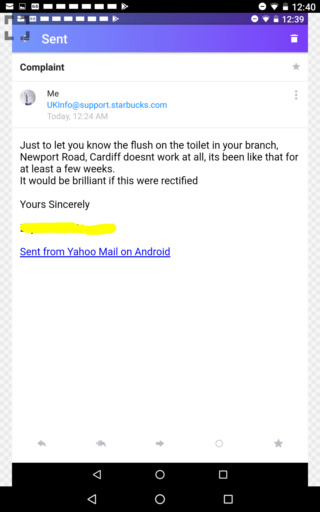 Its an email I sent to Starbucks Customer Service. LOL, that's really cute fatbob. Show the reply if they send one. About 20 years ago you'd go up to the guy behind the till and say the flush is broken on loo. They would shout out back and a guy would deal with it or the loo would have out of order sign on it. Today with the advancement of technology(and the decline of the human brain cell) to get things fixed we send messages via Internet in a millisecond that take that long to respond you may as well have used a carrier pigeon and waited on a cripple to turn up to fix the flipping flush. That's progress my dear, ain't it great. Is that why you did it. For freebys? What are you going to do if its still broken in 2 weeks, leave a huge poop in there haha? 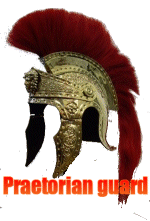 @dragonfly wrote: Is that why you did it. For freebys? I had no idea they were going to offer the coupons. Fatbob an Robin inform authorities of broken toilet flush in Cardiff. Tune in next week for episode 2...Seeing to it that the job gets done. OK, obvious question who enjoys a beverage in the toilet as they seem to be suggesting. ok bob, post up the coupons and we can all take advantage by printing them out. 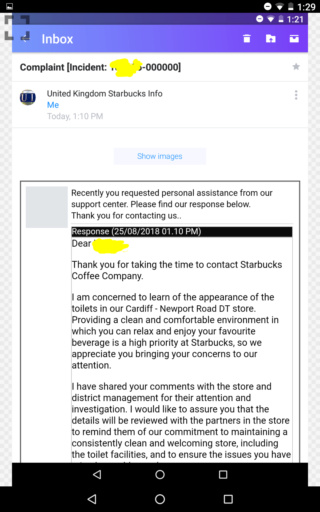 It would have been quicker for them to just send round a plumber rather than waste time filing your complaint to the appropriate department, spending time checking and answering emails, phoning the appropriate Starbucks to chat, not to mention asking then waiting for your address to be forwarded so they can post off free vouchers. Modern technology, what would we do without it? What really irritates me about reporting or enquiring about stuff is how difficult it is to speak to an actual person. 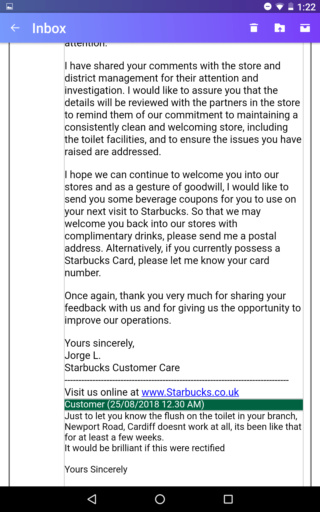 Its all press this for this and that for that and hold for one of our customer service reps, then they tell you how busy they are and you are 4 days away from anyone answering. How did we manage before all this. 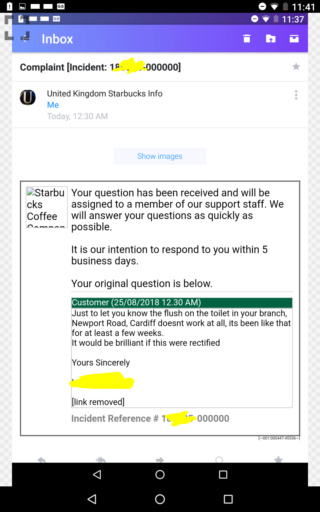 When I've used e mail to ask for help or report a problem, when you get an answer back it doesn't actually answer your query, then they ask if that reply answered your query and you reply no it bl**dy well doesn't or at least I'd like to. @dragonfly wrote: Is it fixed yet? I went into the toilet the other day immediately after some other bloke came out. They had managed to successfully flush the toilet, but then the same problem persisted for me when I tried to do the same. Bob, what exactly is the problem, Elaborate a bit ! @nicko wrote: Bob, what exactly is the problem, Elaborate a bit ! I certainly wouldn't be able to do a poo there. Bob, there's not enough water coming into the cistern to give you a good "flush" when you need it. Depending on the age of the cistern, take hold of the end of the Ballcock [the end opposite the Ball] with the Left hand, and pushing down on it, take hold of the Ball and gently bend the shaft up, this will let more water into the cistern. On more modern cisterns on the left hand of the shaft you will see a plastic thread and slot for a screwdriver, turn this left or right to raise or lower the Ball.You need to raise it. Good luck i'll invoice you later !